This post was originally written on Tuesday, June 10, 2014 at 7:27 p.m. Fortunately, I time-stamped it! Wednesday, June 11th was the day I walked into my job with the firm decision that I was quitting. Just writing out all my feelings and thoughts in the blog post on Tuesday night is what made me decide. I never wrote so fluidly as I did writing this, because I was fueled by emotions and a deep understanding of how I truly felt. This is also my first post that was an epic 2,000+ words (2,184 to be exact). I usually spend a few days on a post half the length of this, but this one shot out in one, smooth session. June 10th is also the day I “found my voice” (as writer’s say). If you’re a writer, you probably know when you found your own voice in your writing. You can feel it – and it feels amazing. Who Else Wants To Strike Out On Their Own? I hear more and more often, “I wish I could be my own boss”, or “I really want to run my own business”. Sadly, very few move ahead with these dreams. Passion is a big word thrown around a lot. Passion is simply that feeling of intense desire or enthusiasm for something. You can turn around and ask those critics about their passion, and they deliver some mystical answer of a life of empowering others, for the greater good of humanity, yadda-yadda-yadda. And I answered honestly, “No“. I did at a time. It was special to me for a variety of reasons. I felt a strong affiliation with what I was doing each day and looked forward to going to work. I guess you could call it a passion. Many of those reasons passed over time. I no longer yearned for work. In fact, fueled by that feeling disappearing, I began to despise work. I would think about all my great dreams and interests. What new things I can learn, explore, succeed and fail at. Everything I could try. But not any longer in my current state. My job grew boring. Dreary, really. My new, or just different, passions cast a shadow over my job which no longer gave me life. And so, instead, it drained the life out of me. You can accept that “that’s just how it is”. It’s a job. It pays bills. It’s safe. This is what society has largely taught us to believe and life with. This “safe” and “normal” way of being is where many dreams go to die, driven by what society and our (loving but misguided) parents. At first, you should try that out. We all hit slumps, and sometimes they are temporary. It really might not even be work that drains you, but something else that you are not even conscious of. It happens to us all the times, so don’t feel too proud to admit this possibility to yourself. Okay, but now the feeling persists. And now that feeling can truly be categorized as disheartening. Dismal. It would be nice if everything just turned around for you. Work gets fun. You look forward to going each day. You are excited for the projects you are working on. You can’t wait for the victories ahead of you. Work continues to drag forward. You have some hope that you are holding on to. Perhaps you hope things will turn around. Perhaps you hope a new opportunity will arise. Or you’ll get that salary raise. Or the extra help you need to focus your job on the things you enjoy. Or is it just fear? Fear that you will lose out on an opportunity if you skip out. Fear that you will be seen as disloyal and unprofessional for not fulfilling your duties (work forever at the command of others). Or fear that you won’t be able to pay your bills since you can’t just walk out and get on your feet. Or that someone will notice you are looking elsewhere and “let you go”. Is it fear of rejection? Rejection from everyone in the world you encounter after you leave that safe job? Everyone you try to sell your resume to? Everyone you try to sell your new business’s product or service to? You really need to dig deep and figure out where “you” are. We are asking ourselves the wrong questions. When you ask why, you rationalize. You create an answer, and it becomes difficult to notice if that is authentic or fabricated. Stop asking yourself “why”. You feel like it’s helping, but it’s not. How would it feel if I left the job? What impact would my coworkers, my family, and my friends have on this? How would I feel if I struggle to pay my bills? If I need to borrow money, or build up some debt? How would I feel if I face day after day of rejection? No one wants to work with my business. No one wants to hire me. No one wants what I can create. How would I feel if I was asking myself this same question next month? Or next year? When you ask the right questions, you can start to figure out where your life should be. It’s the emotions that can guide us (with some logical thinking as well, of course). Ask yourself these questions, and whatever else is relevant to you. Pay attention to yourself. Where are the strong emotions arising? The right questions guide you towards your passion. Forget the “passion” to become a missionary and head out to third-world countries to help young, hungry children. You are not going to do it. Or else you would have already started. My passions align with my core values and my life goals. They include experimenting. Trying different things. Chasing after what excites me. That’s really it. There’s nothing fancy. I’m not stating anything that’s going to win me the Nobel Peace Prize. You won’t hear about my devotion to the greater good of the human race. Cause I’m being honest – and I don’t think that’s my “passion”. I hope my passions do give back to others – but that isn’t my ultimate goal. And you’re probably the same way. Your true passions might be aligned with your values and goals. Pretty self-serving, huh? No wonder we would rather resort to the idea of providing for others in the most unrealistic but idolized way. 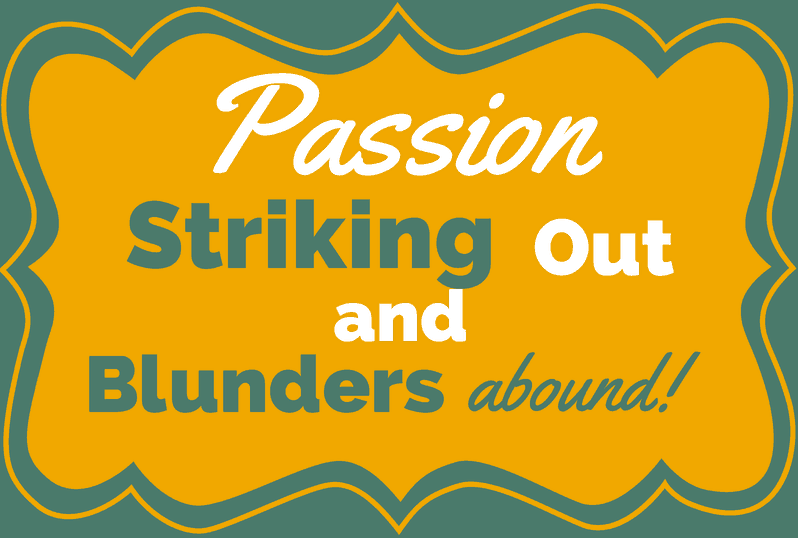 Passions don’t have to be specifically defined. They just give you direction with where you want to take your life. So we started to find that passion, huh? Let’s assume that you took the steps of deep introspection to figure out your values, goals, purpose, and so on, to the point that you discovered your passion. Quit our jobs and move towards our passions, right? You still have the fear, guilt, and an array of other emotions that restrict you from taking the action you need to. Chances are, you still won’t move forward very quickly. I didn’t. I found temporary ways to heal the situation. They left me back at that false feeling of hope that everything will just be great again. But that didn’t happen. It continued on as it was before. At times better, at other (frequent) times, just as dreadful. I didn’t even have to be at work for it to bring me down. Just the thought of heading there again was enough. I think these trials and tribulations are valuable at one time in your life. If this isn’t your first time at the rodeo, maybe you should think back to your past experiences. Probably pretty similar, huh? And what freed you of that pain? Waiting it out? My dad told me this when I was about 16 years old, working at a grocery store. And this stuck with me. Cause its true, and always relevant. We just need to use it right. We face situations we don’t want to be in every single day. It’s the decisions we make, our choices, that change us and shape our destiny. 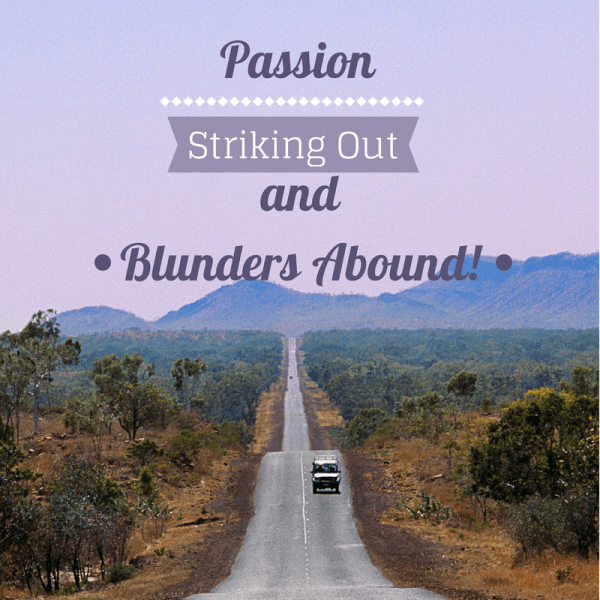 After all, we want our passions, but we don’t always want to do the things to get us there. I don’t want to leave my job because of friendship, and because of pride in what I’ve accomplished to this point. This isn’t one of those wise posts where the answers are just thrown at you, and you take them and run and life is just perfect! You need to review your history of these experiences. You need to revisit those powerful questions that get at your raw emotion, not your rationalizations. Define in a vague sense what your passion is (but be real). Brainstorm your options. Remove all those extra options that just don’t fit in with your passion, your emotions. Make an action plan and commit yourself to it. Move forward with that action plan. Fail. Ask yourself (powerfully) what happened. What emotions held you from taking that action? Refine the plan and get back at it. I tried cutting back hours. Three times. It didn’t help. I cut back to one day each week and spent the rest of my time starting my own business (a passion!). I was learning and doing the things I wanted to. I was excited to get to work again – this time on my own project. And each day in the back of my mind, throughout the day, I would have this reminder: “Wednesday is my day I throw my soul away”. I half-committed. And it was obvious; I just didn’t want to face it. There are so many opportunities to grow and learn and try different things at my job. But I don’t want any of them. My needs and interest lie elsewhere and go beyond what my job could provide. And so, I humbly terminate myself. I terminate the feelings of boredom. The disheartened, dreary days. The limiting sense of loyalty, pride, and hope. The feeling of giving up on my passions and goals, even if for one dismal day. I know, these are strong words. And my job wasn’t that bad. The pay wasn’t good, but it was work, right? But it didn’t align with my passion. And with all my preaching to others about finding what they enjoy in life, I think I spent too much time doing something I didn’t enjoy in hope that it would change. Here’s to you – to your success, happiness, and luck in striking out on your own – to failing, to pain, to passion. With love to everyone who struggles to enjoy what they are doing in their life. P.S. Don’t forget to share this with others who you feel can benefit from it.